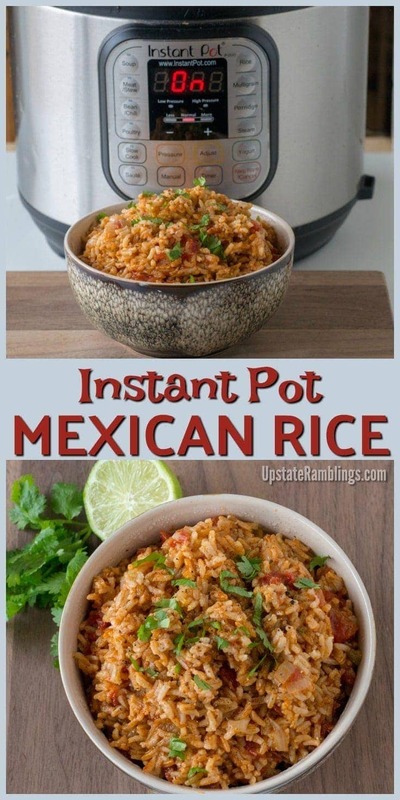 This recipe for Instant Pot Mexican Rice is quick and easy to make in a pressure cooker! It is a one pot meal that makes a delicious side dish and goes well with tacos, burritos, refried beans or your favorite Mexican dinner. I love to make and eat Mexican foods because it tends to be fast to make and a dinner the whole family will enjoy. 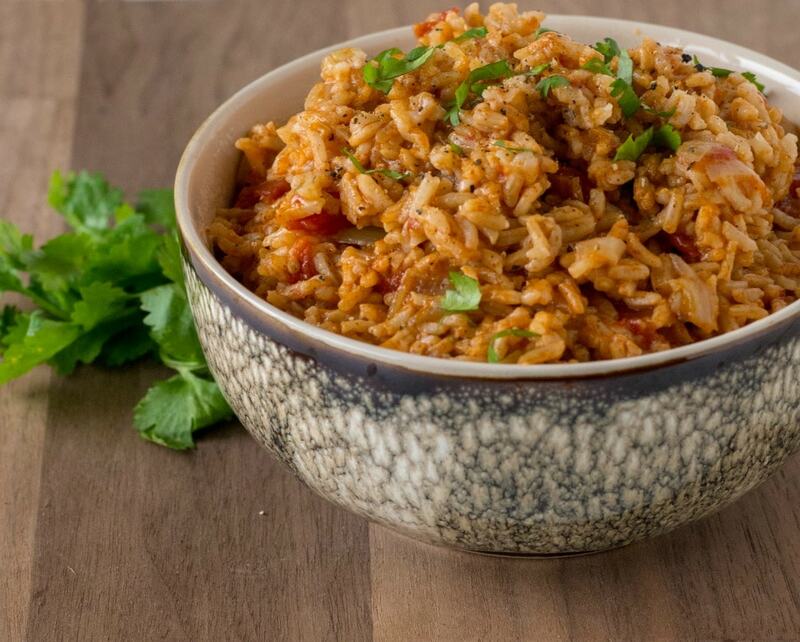 This recipe is for restaurant style Mexican Rice made in a pressure cooker. Plus it is ready in less than 30 minutes and is vegan and gluten-free. 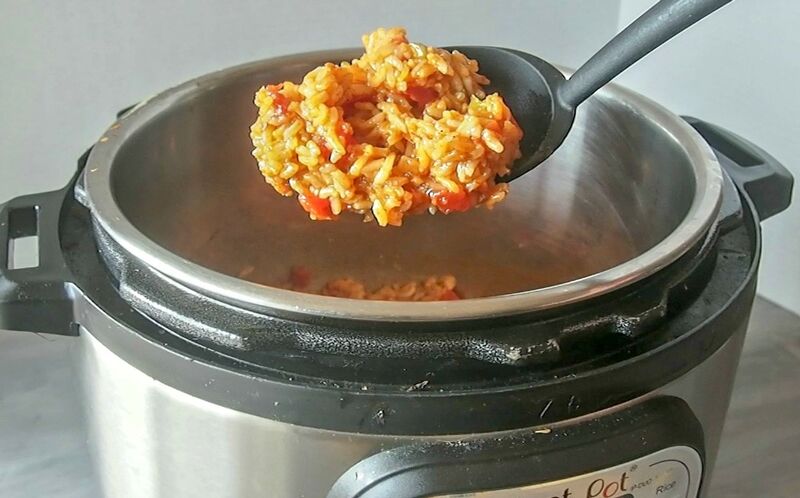 Why is an Instant Pot Great for Cooking Rice? 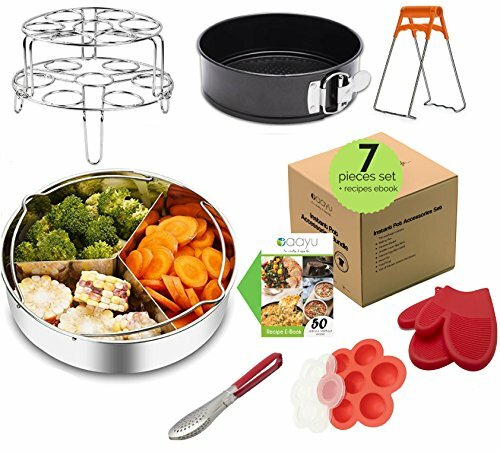 I originally bought an Instant Pot planning to use it mostly as a rice cooker. 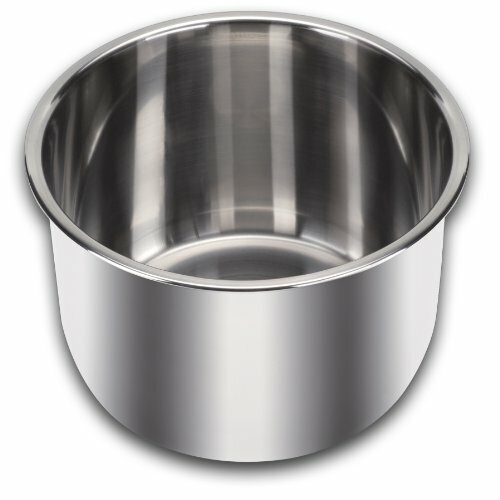 My mom had a rice cooker when I was growing up, but I always just made it on the stove top. A few years ago I decided it would be very handy to have a rice cooker to simplify dinner prep and so that my rice would be perfect every time. 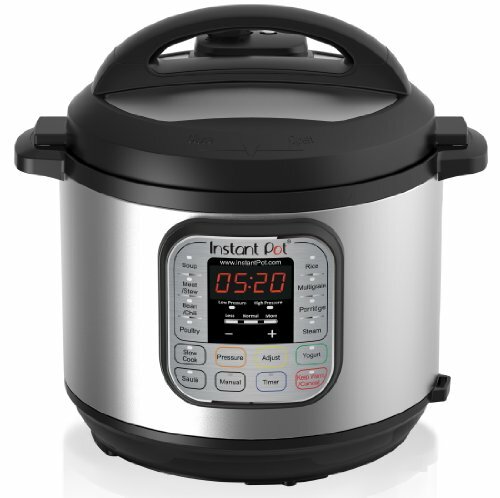 Once I started researching I realized an Instant Pot would give me a rice cooker and so much more, so I decided to go ahead and get it, even though it cost a bit more. As it turns out I use it all the time now for many things other than rice, because it is so much more versatile than a basic rice cooker! But it still does work very well for cooking rice. First of all it is fast at making perfect rice. And, like a rice cooker, the rice can stay warming in the Instant Pot for quite a while without decreasing the quality of the meal. 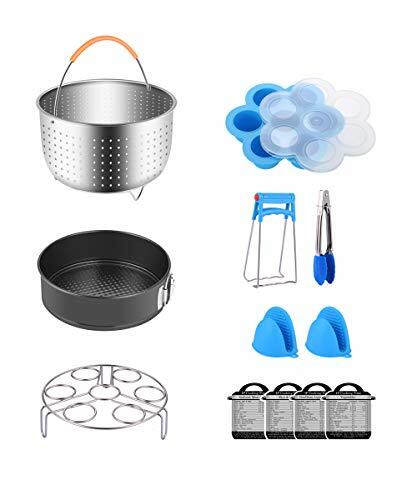 So when I am making a meal with rice I can start it in the Instant Pot and know it will be ready when the rest of dinner is ready, saving me from having to plan out the timing so everything finishes all at once. But the best thing about making rice in the Instant Pot is that it always comes out perfect, with fluffy rice that isn’t soggy or hard around the edges. What is the difference between Mexican Rice and Spanish Rice? I have always called this dish Spanish Rice. But when I was writing this post I looked into it and realized I have been calling it by the wrong name all these years! I learned that Mexican rice is tomato based and flavored with cumin, while Spanish rice is flavored with saffron and is more like the rice you’d find in Paella. And this makes complete sense, since all the flavorings in this dish – cumin, chile powder, cilantro and so on – are classic Mexican flavors. Once I thought about it I realized I always serve this with Mexican food, so I have no idea why I have thought of it by the wrong name for so many years. This recipe is very versatile and easy to customize. 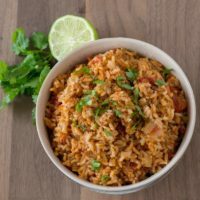 I kept my Instant Pot Mexican Rice recipe fairly simple, adding onions, tomatoes with chiles and spices, and topped it off with a squeeze of lime and fresh coriander, but you can make simple additions to make the recipe your own! You can add peas, or corn, or lots more chile peppers if you want the rice extra spicy. One of the best things about the Instant Pot is that you can saute your vegetables and then pressure cook all in the same pot. For this recipe I use the Saute function to cook the onion and garlic in oil for five minutes and soften the onions. Then I add the rice and stir it around for a minute or so to get it nicely coated with the oil. 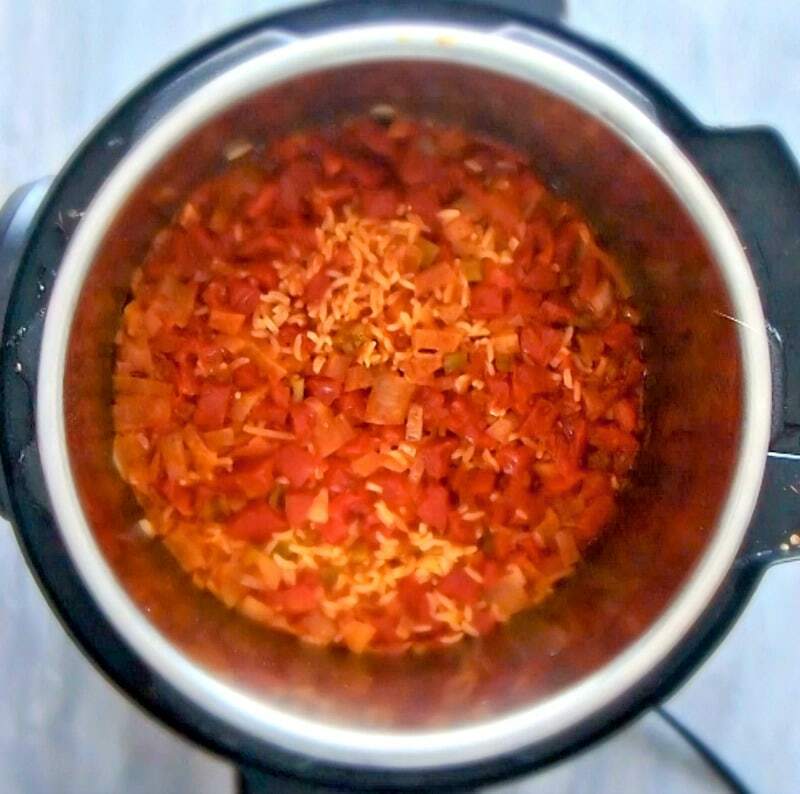 That is pretty much the last step that takes effort – after that I just add all the remaining ingredients – tomatoes with chiles, cumin, chili powder, cayenne pepper, salt, tomato sauce, and broth – to my Instant Pot. After I stir it all together I put the lid on and set the Instant Pot in Rice mode, which cooks it under pressure for 8 minutes. If your pressure cooker doesn’t have a Rice mode you can also use Manual mode for 8 minutes. 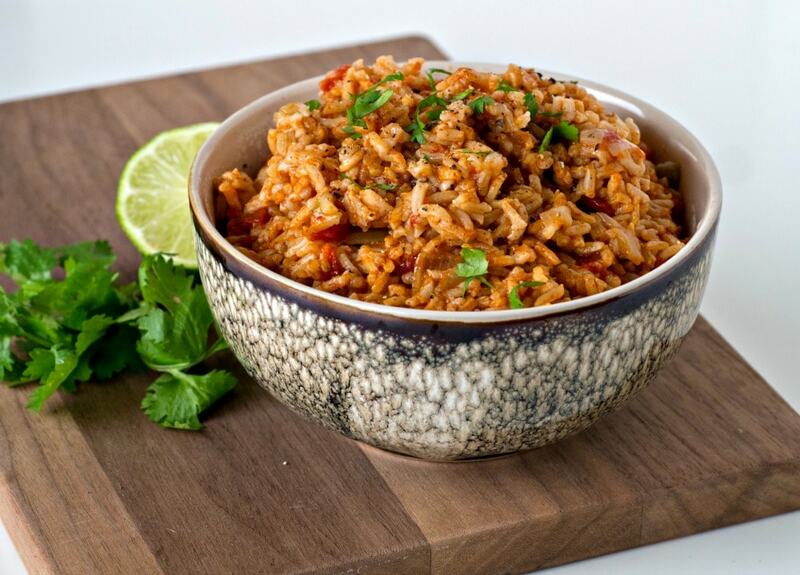 For rice based dished it is best to let the pressure release naturally for 5-10 minutes, so the grains have a chance to rest and finish absorbing the liquid. 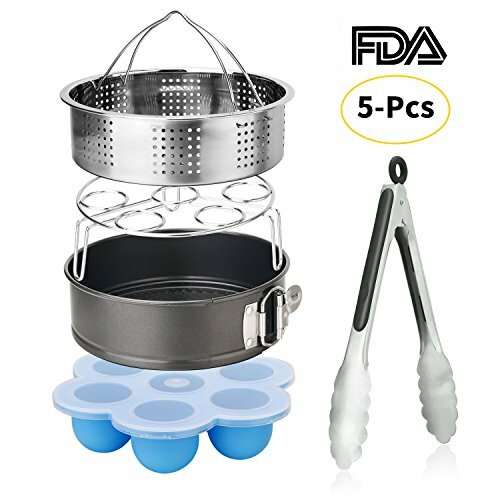 After that you can release the remaining pressure manually or wait for it finish releasing naturally, depending on when the rest of your meal will be finished. 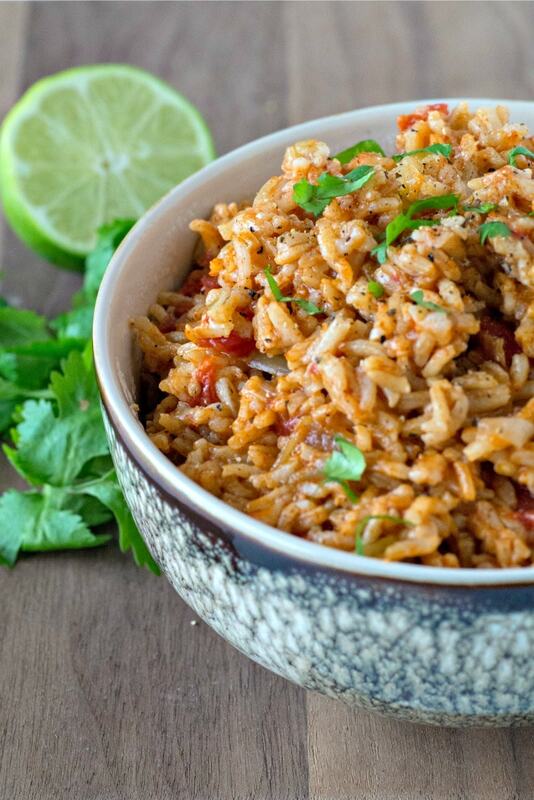 This Instant Pot Mexican Rice recipe has an authentic tomato based flavor, just like you’d find at a restaurant. It is inexpensive to make, yet filling and family friendly, all of which makes it the perfect accompaniment your favorite Mexican meals, like tacos, burritos and quesadillas. It is just the dish to spice up your next Taco Tuesday meal. Heat the 2 T of oil for a minute or so, then add the onion and cook for 5 minutes to soften. 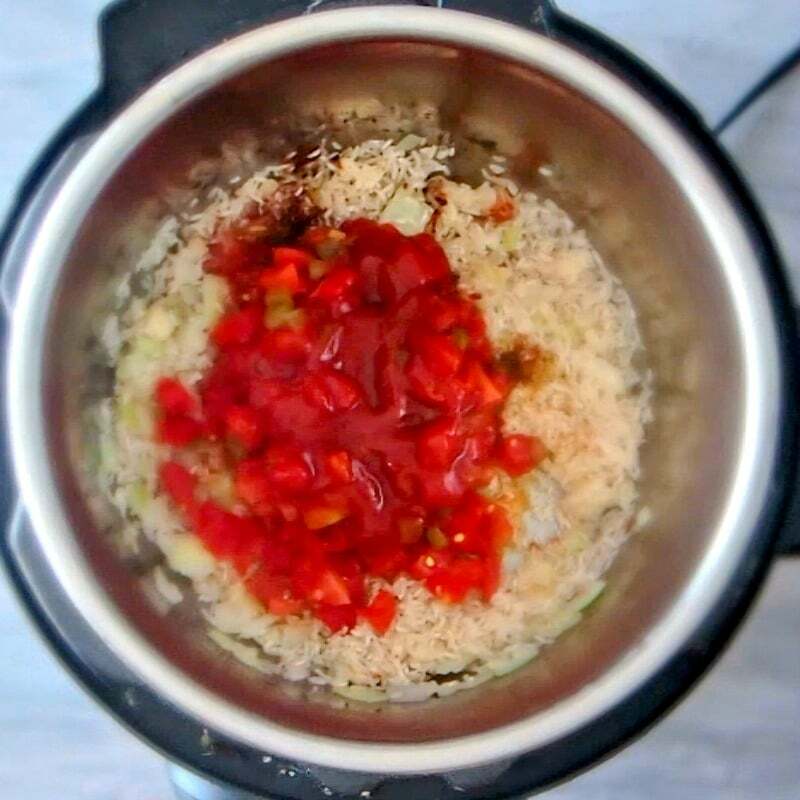 Add all the remaining ingredients - cumin, chili powder, cayenne pepper, salt, tomatoes, tomato sauce and broth or water. Stir to mix well. 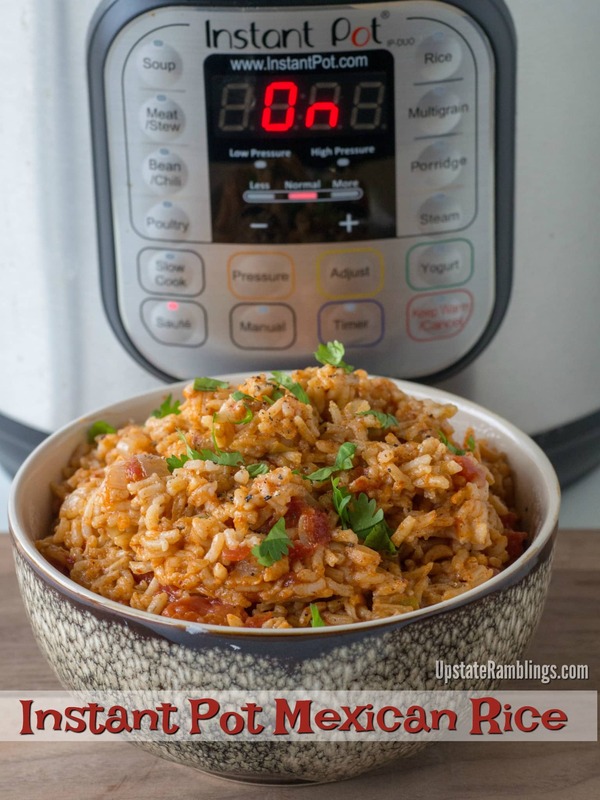 Put the lid on the pressure cooker and on the Rice setting for 8 minutes or use Manual mode for 8 minutes if your Instant Pot doesn't have a rice setting. Once complete let the pressure release naturally for 5-10 minutes. After that you can release the rest of the pressure manually and serve topped with coriander. You can adjust the amount of cayenne pepper to make the dish more or less spicy, based on your family’s tastes. I used a can of tomatoes with chile peppers, but you could just use a can of diced tomatoes and add a fresh jalepeno or other chile pepper. Thank you so much for your shearing post! I was wondering about the size of can tomatoes too! Did you end up making this? I would guess 14oz can?